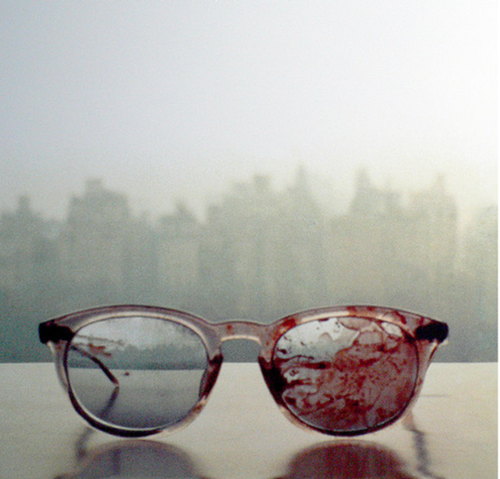 Yoko Ono - A picture of John Lennon’s bloodied trademark spectacles he wore when he was shot December 8 1980. Yoko took this image on the window sill in their apartment after receiving the items back from the Medical Examiner, December, 1980. The glasses were part of an exhibit at the Rock & Roll Hall of Fame Annex in 2009.